We are pleased to offer conversational Spanish language instruction at the Institute. The objective of all the courses is to offer quality classes in a relaxed and enjoyable atmosphere, providing students with an authentic approach to Spanish and Latin American culture and language. The courses will help students build and expand their vocabulary and converse in Spanish. The teaching method will include group exercises of reading, writing and dialogs. These classes will be especially beneficial to individuals who are planning to travel to Spain or Latin America, or those who just wish to enjoy Spanish and Latin American culture. 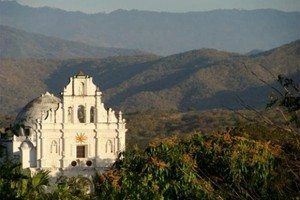 We are fortunate to have a skilled and experienced instructor and native Spanish speaker in Citlalli Del Carpio.